Exfanded by Neko-chan, who has written several things for this blog in the past, some of them entertaining. Yesterday was "Socially Acceptable Deceit and Deception Day," otherwise known as "April Fools' Day." Not only do individuals try to pull the wool over their friends' and families' eyes with false claims of success or disaster such as "I won the lotto!" or, "I'm sorry, I accidentally put your child in the dryer..." but major internet sites have also jumped on the prankster bandwagon. 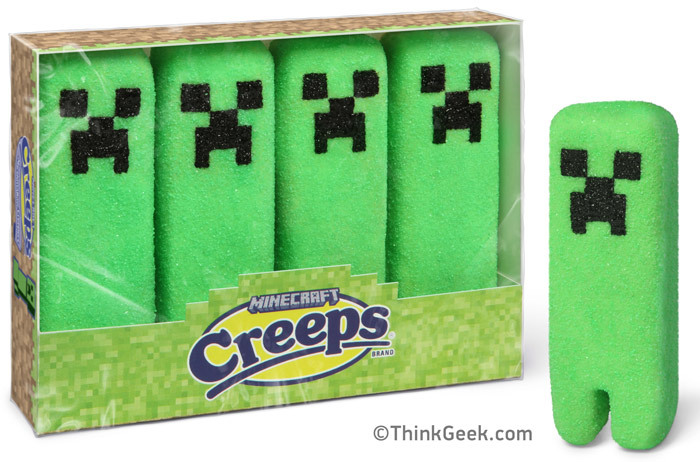 ThinkGeek released a whole line of false products that we wish were real, including a Skyrim shouting hoodie, Minecraft marshmallow "Creeps," an Admiral Ackbar singing bass, and Keurig K-cup instant meals. One thing we thought was a joke, though, actually exists: a child-size inflatable Star Trek:TOS captain's chair. Google also got into the foolish spirit, announcing a fake Nascar partnership, as well as releasing a YouTube video advertisement for an 8-bit NES port of Google Maps. Being huge retro gamers, Nathaniel and I were both highly amused by the NES gag, especially because it spoofed Dragon Warrior. Then we found out that Google had also converted the entire Google Maps website into a "trial run" of the 8-bit format. Not only did they turn the world map into an overworld map, but major landmarks were redrawn in pixelated glory, and "street view" became a bad VGA remake of reality. *hilarity ensued* I think we spent a good 20 minutes typing in every tourist spot and geologic feature we could think of. Next, DeviantArt finally succumbed to the totalitarian rule of the feline overlords. 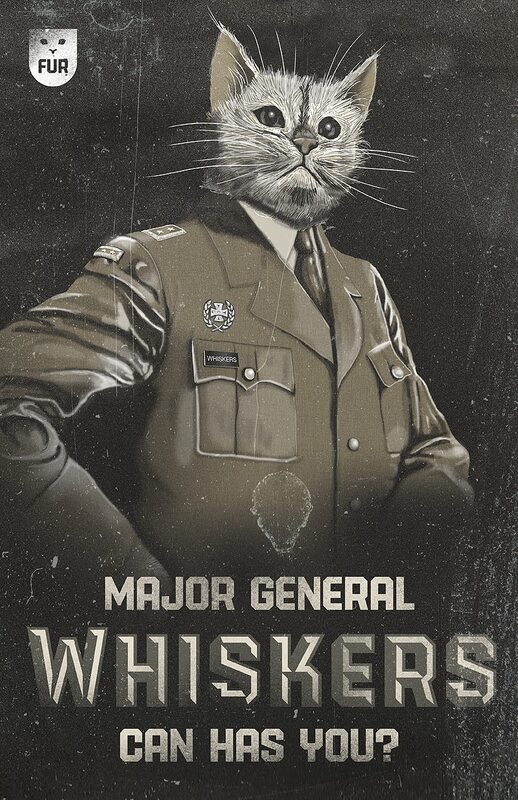 Major General Whiskers, an anthropomorphized cat general, launched a threefold attack on the site. 1) the site's mascot was taken hostage, and users needed to submit 15,000 cat-related artworks in order to ransom him and appease the new government. 2) random gallery images were replaced with cat propaganda posters. 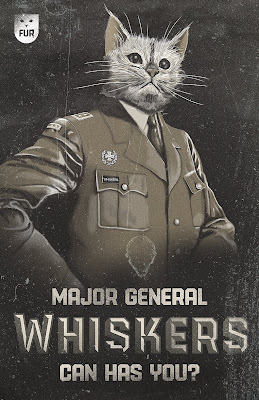 3) "mandatory cat education" popups bombarded the site, re-programming users to the ways and customs of their new leaders. As a reward for Participating in this April Fools event, DeviantArt awarded users a free "cat badge" to display on their page. Finally, Nathaniel and I spoofed our own little corner of the internet with a fake teaser trailer for Mega Man 7. This was a two-part gag. First, Nathaniel only releases a teaser once he has recorded all of the playthrough footage for his next set of Mega Man videos on YouTube, so this trailer insinuates that he is magically close to completing his next video series, less than 3 weeks after finishing MM6...highly improbable given that he is slower than a snail in molasses at recording. The second part, and the main kicker, was that the playthrough footage and commentary was recorded by me, not him, making it appear as if I would be taking his place for the next set of videos. Ha! As I stated in one of my YouTube comments, instead of Nathaniel's showoffery, users would have to suffer through my show-awful-ry, which would just be cruel and unusual punishment. As you can see from the video, I am the *best* at this game. Yeah...no...I think I'll just stick to my RPGs and let Nathaniel handle all the platforming from now on. Sorry, I meat it is doubtful that you wouldn't be thinking about April Fool's Day pranks. Stupid complex sentences, you will be the death of me.